Packed with hundreds of exciting online casino games, VideoSlots Casino is one of those highly vibrant venues delivering the best online gaming experience. After its establishment back in 2011, the venue received many awards including the award for Best New Casino back in 2014 and award for Best Casino back in 2015. After this amazing initial success, the venue managed to significantly capitalize on its amazing success thanks to its great customer support, impressive gaming catalogue, and lucrative bonuses. This venue running on a multi-software platform is operated by Panda Media N.V. while its businesses are strictly regulated under the jurisdictions of Malta and United Kingdom which also speaks greatly of VideoSlots Casino reliability and trustworthiness. As expected from a massive brand as VideoSlots Casino, every player who decides to register here get to enjoy generous bonuses and promotions. 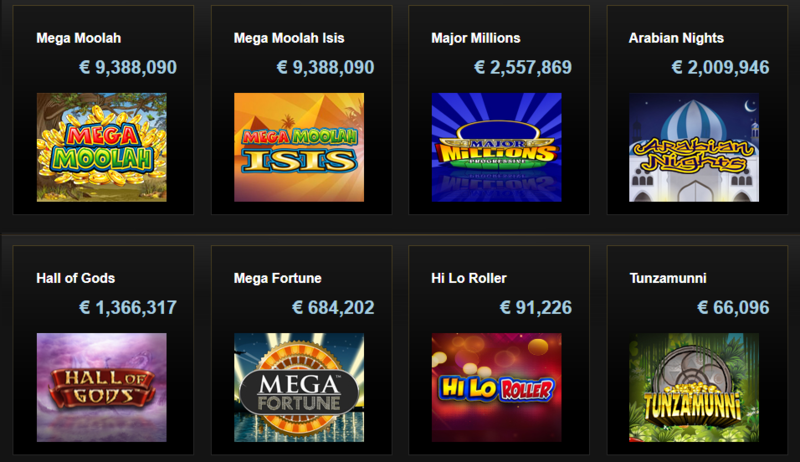 In fact, all new players get to grab their VideoSlots Welcome Bonus which includes 10 Extra Cash on their first deposit. The venue also offers its new players an amazing 100% up to € 200 on their first deposit which is available immediately after registration. In order to activate this VideoSlots Welcome Bonus, players need to get to their My Profile section and click My Bonuses. In order to withdraw their bonus funds, players need to meet certain wagering requirements which in this case mean they need to wager their deposit amount 20x within seven days of receiving their Welcome Bonus funds. It should be noted that not all of the game available at VideoSlots contribute the same towards meeting these wagering requirements. For instance, slots contribute 100% while other games such as classic table games contribute significantly less. Besides this generous Welcome Bonuses, VideoSlots Casino is also home to other generous bonuses and promotions offered not only to newly registered players but to everyone. These bonuses often include extra Free Spins on certain games, great daily, weekly or monthly promotions packed with Reload bonuses and much more. This means that players should definitely check VideoSlots bonuses and promotions section regularly in order no to miss hot offers. As one of the most prominent names in the industry, VideoSlots offers a truly comprehensive gaming library packed with hundreds of exciting games. Here, players can enjoy the best video slots as well as progressive jackpot slots. VideoSlots Casino is also home to exciting, classic table games such as Blackjack and Roulette which come in different variants. Those players who enjoy video poker will not be disappointed either as here you can play a variety of video poker games such as Jacks or Better, Deuces Wild and other. Although the venue is named VideoSlots, here you can play around twenty different variants of classic table games, video poker games and much more all optimized for both instant play and some of the games optimized for mobile gaming. When it comes to the VideoSlots Casino software providers, you will find the best titles running on Microgaming, iSoftBet, Bally, Play’n GO, IGT, WMS, Realistic Games, Thunderkick, Lightning Box, Big Time Gaming, Elk Studios, Barcrest and many other. When it comes to the VideoSlots customer support, players will not be disappointed as the venue is home to a reliable, trustworthy customer support department which can be contacted any time by sending an email, using live chat feature directly from the website or via phone number also featured on the website. In order to provide a secure and reliable online gaming experience to every player, the venue uses the latest SSL encryption technology. VideoSlots Casino gives its customers the choice of a wide range of different deposit and withdrawal methods. These include those most popular methods such as Visa, Maestro and MasterCard credit and debit cards, direct bank transfers, as well as a variety of different e-wallet services such as Neteller and Skrill. Players who prefer some other banking methods can also use EcoPays, NeoSurf, Siru Mobile, PaySafeCard, and Trustly. Just as every other prominent name in the industry, VideoSlots Casino offers both instant play and mobile gaming experience. In fact, one of the biggest advantaged of VideoSlots is its highly comprehensive VideoSlots Mobile Casino which is comes packed with hundreds of exciting video slots and classic table games available any time while on the go. In fact, the majority of VideoSlots games is fully optimized for Android and iOS-running tablets and smartphones. Thanks to its impressive gaming library, awesome bonuses and promotions and great customer support, VideoSlots Casino offers a truly memorable online gaming experience to every player. The developers working behind the scene envisioned VideoSlots as one of those unique gaming destinations offering something for everyone, and they most certainly have achieved this thanks to their innovations, user-friendly interface, and unique search features.